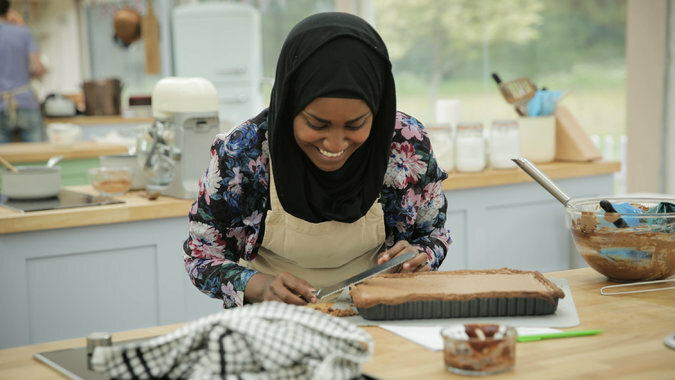 Here’s a nice story by NY Times reporter Dan Bilefsky about a British Muslim bake-off contestant who is a winner on many levels. Bilefsky writes, “Prime Minister David Cameron praised her coolness under pressure. Bookmakers monitored her performance as they do election candidates. “Television watchers admired her raspberry mille-feuille and soda-flavored cheesecakes — along with her blue chocolate peacock, and a mountain of éclairs in the form of a nun. So heart-warming and so human!